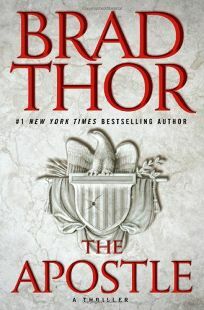 At the start of bestseller Thor&apos;s less than convincing sixth Scot Harvath thriller (after The Last Patriot), Robert Alden, the new and naïve U.S. president, has just taken office with a landslide victory, due mainly to the assistance of strategist Stephanie Gallo, who ""delivered the mainstream media for him on a silver platter."" When Gallo&apos;s daughter, a doctor working in Afghanistan, is kidnapped, Gallo turns to Alden for help, and he, in turn, calls on Harvath, a former Navy SEAL and intelligence operative. Since the kidnappers are demanding the release of one of Osama bin Laden&apos;s lieutenants, Alden can&apos;t be seen to be negotiating with them. Thus Harvath must carry out his tricky assignment without official sanction. Meanwhile, Secret Service agent Elise Campbell, troubled by a conversation fragment she overheard indicating that Gallo has serious dirt on the president, launches an off-the-books inquiry into the pre-election death in a car accident of an attractive aide to Alden. The overseas rescue operation is more plausible than the stateside plot, but that&apos;s not saying much.